Shows Chiropractic is a warm and comfortable place that keeps your convenience in mind at all times. Starting care at our office involves a single phone call. Rest assured that your treatment will begin immediately at your first appointment. Your first visit is about gathering information, taking about an hour in total. When you arrive, we’ll ask you to fill out our patient information questionnaire. Then you’ll meet Dr. Mike for a detailed consultation, discussing what your problem is. A thorough examination will be next, involving over 100 different tests, which include range of motion studies, posture analysis, sensitivity to touch, muscle strength testing and a complete orthopedic and neurological assessment. After the exam, we’ll know what X-rays need to be taken and after careful review of your x-rays, you’ll receive your first chiropractic adjustment. 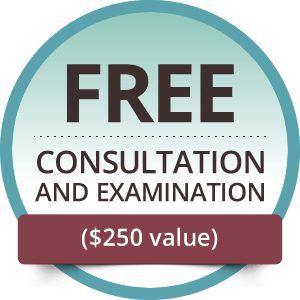 You’ll receive a more in-depth report of Dr. Mike’s findings from your exam and also receive another chiropractic adjustment. On your third visit, we’ll go over your X-rays in detail, showing you what we’ve found and what it means. We’ll also discuss the types of care we offer and give you your third adjustment. At your fourth appointment, we’ll give you an adjustment and detail what it will take to fix your particular problem. We’ll also go over all financial information with you. We invite all new patients to attend our Trigger Point Therapy workshop. There, you’ll learn how to stay well outside of your visits, make your adjustment last longer and save money on your health care. The numerous causes of everyday stress cause tightness, soreness and stiffness, and we’ll teach you how to fight them off with natural solutions. The workshop is held every other Tuesday at our office from 6 p.m. to 7 p.m. Contact us today to find out more! We accept insurance and offer early and late appointment times.